Film has taken a powerful position alongside the global environmental movement, from didactic documentaries to the fantasy pleasures of commercial franchises. This book investigates in particular film’s complex role in representing ecological traumas. Eco-trauma cinema represents the harm we, as humans, inflict upon our natural surroundings, or the injuries we sustain from nature in its unforgiving iterations. The term encompasses both circumstances because these seemingly distinct instances of ecological harm are often related, and even symbiotic: the traumas we perpetuate in an ecosystem through pollution and unsustainable resource management inevitably return to harm us. 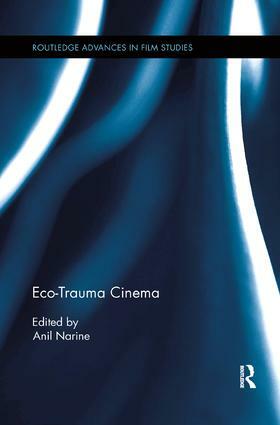 Contributors to this volume engage with eco-trauma cinema in its three general forms: accounts of people who are traumatized by the natural world, narratives that represent people or social processes which traumatize the environment or its species, and stories that depict the aftermath of ecological catastrophe. The films they examine represent a central challenge of our age: to overcome our disavowal of environmental crises, to reflect on the unsavoury forces reshaping the planet's ecosystems, and to restructure the mechanisms responsible for the state of the earth.